I bought a gently used 2006 Porsche Cayman S about 18 months ago, and although it was over four years old, it only had 16,000 miles on it. 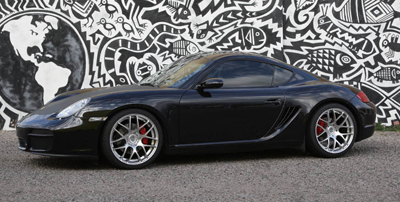 Although the first year this car was offered, and only in the S model originally, the Cayman is derived from the Boxster chassis and maintains many of the styling cues from that car, but it has become an iconic, if not the most popular, model in the modern Porsche lineup. I will have doubled that mileage by the time I’ve owned it for two year, as it’s my daily driver, and I take every opportunity to drive it! For me, a lover of all things car, a Porsche is not only an icon, a marque defined more by its racing cars than anything else, but it is a road car that reflects that racing pedigree. For me there’s the tightness of the chassis, the sweet sound of the flat six sitting just inches behind my shoulders, and the wonderfully communicative steering. You can find more details about the car here. This entry was posted in Ramblings by philipganderton. Bookmark the permalink.